Viz’s continual love of the Sailor Moon series has not yet come to an end! The legendary anime series is receiving a release which contains episodes 22-46. This release will be available in both a Blu-ray/DVD combo pack, as well as standard DVD set. Either option is suppose to include premium packaging and bonus materials. After the jump I have included the full press release for those of you who want to know the full details behind this re-release of the legendary series! VIZ Media, LLC (VIZ Media), the largest distributor and licensor of manga and anime in North America, has announced the forthcoming release of SAILOR MOON Season 1, Set 2. The latest installment of the iconic fantasy action anime series will be released as a Blu-ray/DVD Combo Pack and also as a Standard DVD Set on February 10, 2015. Pre-orders are available now from all major online retailers. The SAILOR MOON Blu-ray/DVD Combo Pack and Standard DVD Set are rated “TV-PG” and contain Episodes 22-46 of the legendary series, along with a wealth of bonus material and special premium packaging. Uncut English dubbed as well as Japanese subtitled dialogue options are available on both formats. 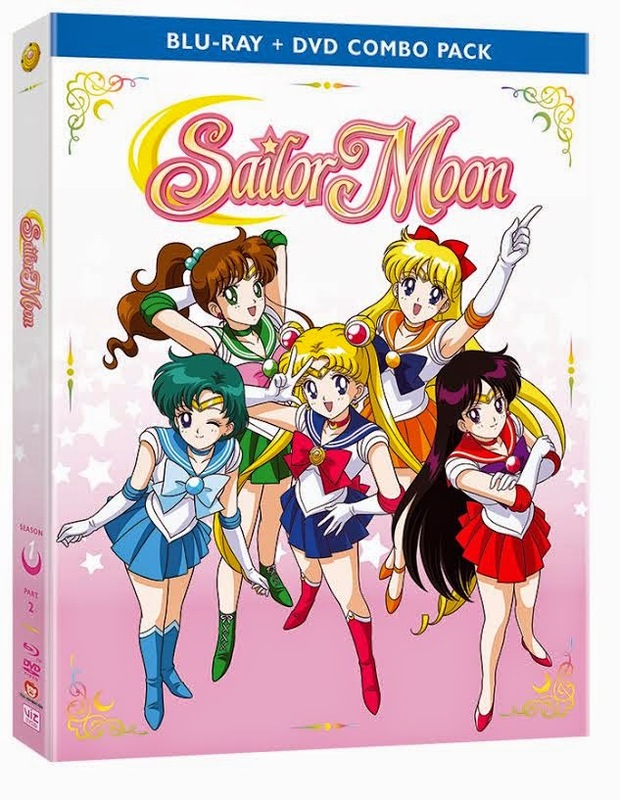 The SAILOR MOON Season 1, Set 2 Blu-ray/DVD Combo Pack will carry an MSRP of $69.99 U.S. / $81.99 CAN; the Standard Edition DVD will carry an MSRP of $44.82 U.S. / $51.99 CAN. PreviousDestiny Expansion I: “The Dark Below” Trailer.